Kim Kardashian has become 'upset' with her husband Kanye West. The 37-year-old beauty was far from thriller when the rapper announced during an Open Mike session with Chance The Rapper that he was moving back to his hometown of Chicago, according to sources at The Sun. 'She’s never lived anywhere but LA, and she’s upset that Kanye is saying things like this publicly when they haven’t even talked about moving. She's told him it's not happening,' said the insider. 'They’ve just spent millions renovating their LA home and she’s too exhausted to think about moving again,' it was added. They bought a mansion for $20m and then renovated it twice to his exact specifications. Also, Kim feels that LA is where her family will thrive. 'Kim’s whole life is in LA – her family, her offices, her trainer, her stylists and her staff. About 25 people would have to move with her!' said the source. West seems serious about the move. According to TMZ, Kanye does not intend selling any of their LA properties, but has already found a 'second permanent residence' in his original hometown. It claimed he also intends moving his Yeezy headquarters to Illinois. However the Chicago Tribune pointed out this isn't the first promise he's made the Windy City that has yet to come to fruition. The Golddigger hitmaker also tweeted he was 'doing Chicago Comedy Jam' and 'going to restore the Regal Theatre' though neither plan has been put in motion. 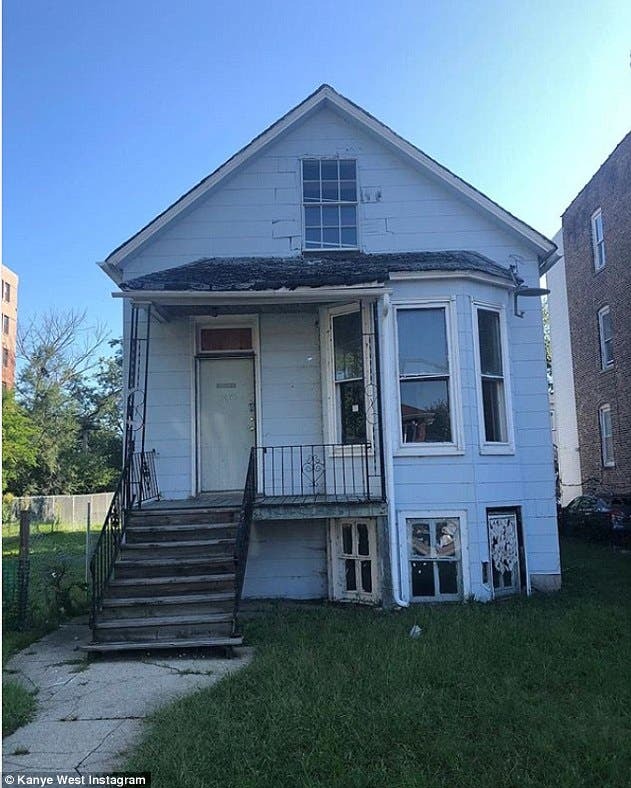 The most high-profile of his collapsing Chicago plans was Donda's House, a charity named for his late mother which has since cut ties with him and changed its name. In 2011, he and friend Rhymefest founded the organization to help Chicago's troubled youth. But in May, the two had a falling out after accusations that the father of three had provided little assistance and 'abandoned' his hometown. Right before the public falling out, the organization also attempted to separate itself from West, releasing a statement condemning his public support for Donald Trump. Kanye didn't respond to the accusations - instead wife Kim came to his offense via Twitter; she accused Rhymefest of failing to run the charity properly. 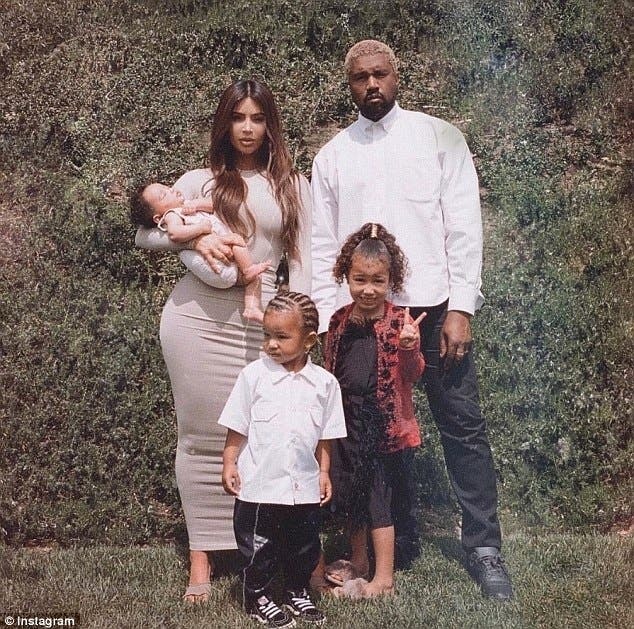 Following Kardashian's tweets, the foundation revealed it would no longer use the name Donda's House, changing its name to Arts of Culture Inc.
'This has been an incredibly difficult decision but the social media quotes from Kim Kardashian West, as well as the expressed intent of her family running the organization, has brought up to this decision,' it wrote in a statement. 'We will continue to support youth in our endeavors. Meanwhile all of Donda's House social media channels and websites were reportedly handed over to Kim and Kanye, and have remained inactive since.